We have been in business for 16 years and have the best prices in the market to patch, install, sand, and/or refinish your hardwood floors. 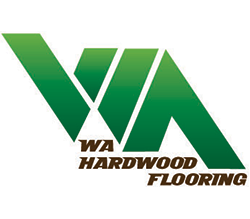 WA Hardwood Flooring is a licensed and insured wood floor service company established in Salt Lake City, Utah. The company provides commercial and residential work since 2001 and it's one of the most renowned companies in the industry due to their unbeatable price, professional execution, attentiveness to customer's needs and scheduling flexibility. The company's portfolio is mainly focused on installation and refinishing of hardwood floors. We are specialists in hardwood flooring, providing the best-customized service the industry has to offer. We provide an excellent value and are committed to offering the highest quality service backed by the best warranties in the business. We serve the greater Salt Lake area and neighboring cities. We understand every other company prioritizes customer service. At WA Hardwood Flooring, we prioritize customer relationships. We believe that our success is dependent on how a customer truly feels about the relationship we have with him/her. With that said, it's paramount to our business that the customer is fully satisfied from the moment the client calls to the moment the project is completed.